It wasn’t so long ago that Facebook founder Mark Zuckerberg seemed like a nervous teenager on stage with Walt Mossberg and Kara Swisher at an All Things D interview. Today the company is expected to make its Initial Public Offering (IPO) – valued at about $90 billion, at $38-$40 per share. For more on the Facebook IPO, check out this infographic. Update: It’s finally official. After staying up all night and day scouring the media, Gina Smith – aNewDomain founder and groovyPost EIC Brian Burgess have confirmed the Facebook IPO is Official. If everything goes through as planned, Mark will become the 4th Richest American. 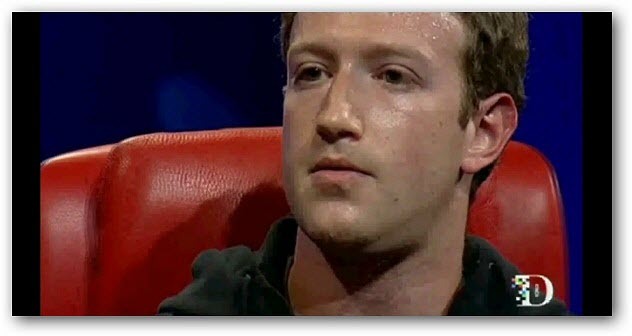 Man that is one sweaty Zuck. I guess according to the song, more money, more problems, he’s about to have one HECK of a life. Good luck Zuck!